Franti has lowered his colours onÂ Stay Human's second chapter. 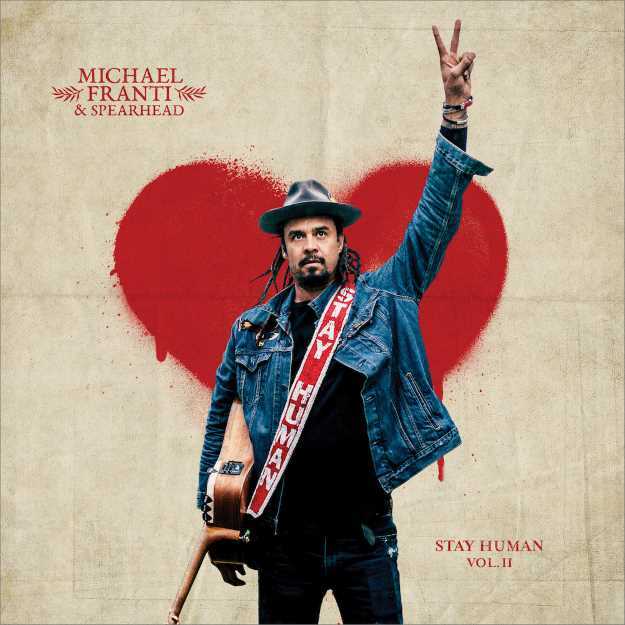 Michael Franti was one of the most promising voices to come up throughout the '90s and early 2000s, with Stay Human arguably the highest artistic watermark set by Spearhead in their entire career. Presented as an hour-long radio program, the album focused on a fictional character, Sister Fatima, awaiting her impending execution as a result of being wrongly convicted of murder. The lyrical content of the album was heavy; opening up on topics from suicide and depression to institutional racism, exploring the entire gamut of the human experience from joy and love, to hate and despair. Stay Human Vol. II, on the other hand, offers absolutely none of the above. The concept and framework of Stay Human radio is replaced by ... nothing. There is no concept, there is no framework. Where the original album was lyrically nuanced and emotionally complex, Vol. II instead offers the same repeated message throughout almost every song; "Love and hope will conquer the darkness". Sonically, the album shares almost no similarities in style. Nothing about this album is a sequel, and as a fan, to call it one is insulting.